Find values on the left of the mean in this negative Z score table. 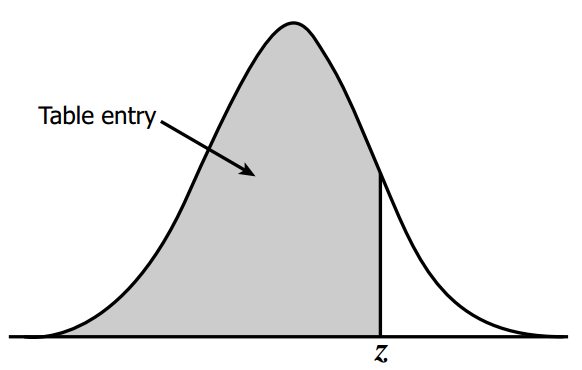 Table entries for z represent the area under the bell curve to the left of z. Negative scores in the z-table correspond to the values which are less than the mean. 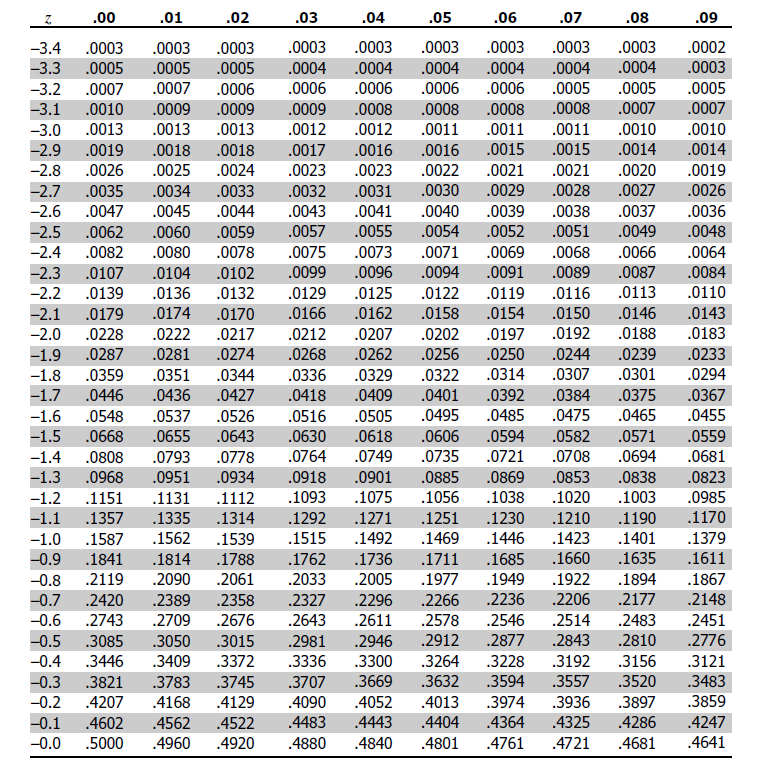 Find values on the right of the mean in this z-table. 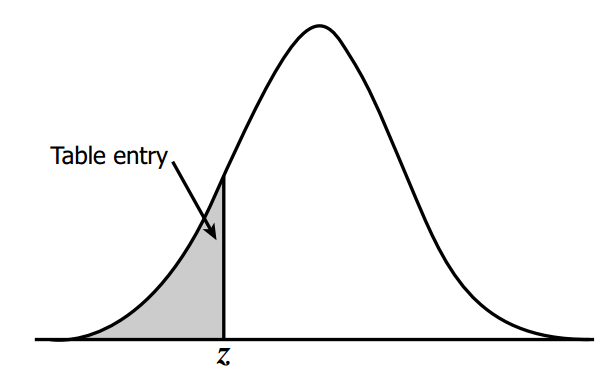 Table entries for z represent the area under the bell curve to the left of z. Positive scores in the Z-table correspond to the values which are greater than the mean. Here is an example of how a z-score applies to a real life situation and how it can be calculated using a z-table. Imagine a group of 200 applicants who took a math test. George was among the test takers and he got 700 points (X) out of 1000. The average score was 600 (µ) and the standard deviation was 150 (σ). Now we would like to know how well George performed compared to his peers. Now, in order to figure out how well George did on the test we need to determine the percentage of his peers who go higher and lower scores. That’s where z-table (i.e. standard normal distribution table) comes handy. If you noticed there are two z-tables with negative and positive values. If a z-score calculation yields a negative standardized score refer to the 1st table, when positive used the 2nd table. For George’s example we need to use the 2nd table as his test result corresponds to a positive z-score of 0.67. Finding a corresponding probability is fairly easy. Find the first two digits on the y axis (0.6 in our example). Then go to the x axis to find the second decimal number (0.07 in this case). The number is 0.7486. Multiply this number by 100 to get percentages. So 0.7486 x 100 = 74.86%. This means that almost 75% of the students scored lower than George and only 25% scored higher. 75% out of 200 students is 150. George did better than 150 students. More data visualization examples and interplay of statistics and graphical representation is covered on the data-visualization.org blog.